Rockstar North's decade-old Manhunt game—the game that made their Grand Theft Auto series seem tame—will be downloadable on the PS3's PlayStation Network for $10, according to the Rockstar Newswire. In this game, you're a death row inmate who is being cajoled to kill people in the most grisly ways possible. Sounds a bit much, yeah? Well, smart people that I know swear by the excellence of this game. 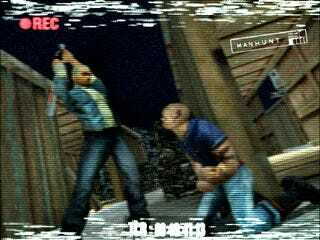 Chime in below to share your memories and insights about what makes Manhunt worth playing. A lot of the appeal had to do with the audio, if I remember correctly.